Yet a third day using that heirloom tomato before it deteriorated, we repeated yesterday’s toasted sandwiches. Fortunately the sandwich is good. Two tasty sandwiches for $1.17 per serve. 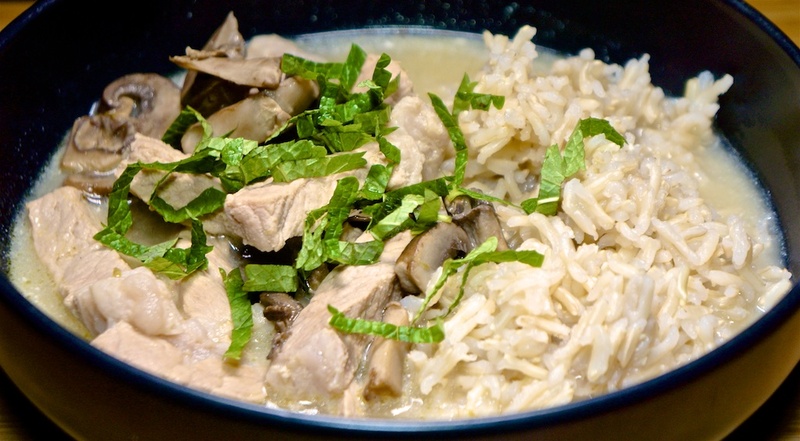 We had a guest coming to dinner so we decided on Tom Kha Moo, which we served with brown rice. Tonight we served with pork cutlets, although we ended up with a lot left over. The brown rice add 33c per serve. The soup was delicious as usual and the pork simmered in the soup was appropriately tender. A good meal, and great conversation, for $7.90 per serve.